This image is the result of 24x120s exposures at iso400 taken with a modified Canon 600 dslr on a Takahashi 106 mounted on a NEQ6 pro mount and guided using a Celestron 60mm refractor. The results were stacked and sigma averaged in AstroArt and processed a few times in Photoshop. 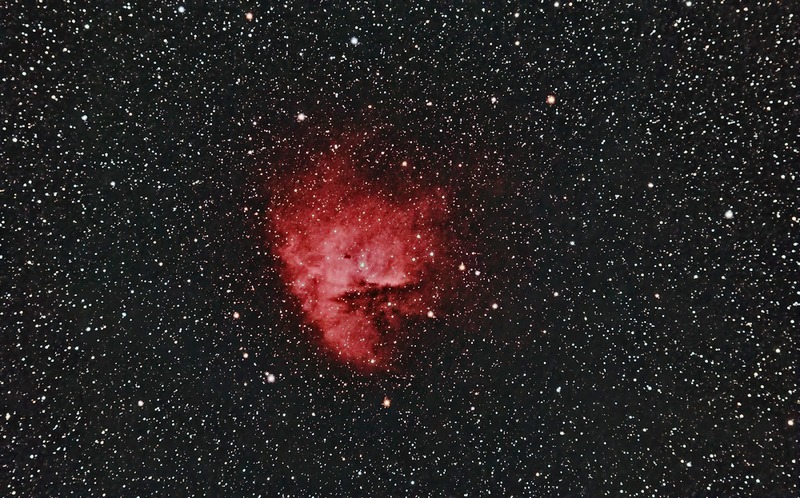 Taken by Max Freier with a modified Canon 600D DLSR mounted on a Skywatcher ED100 APO on an iq45 iOptron mount. 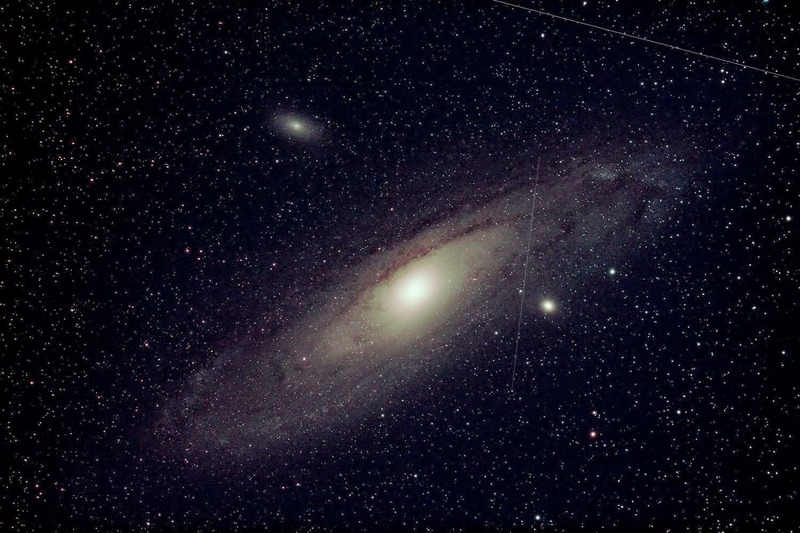 The Exposure was 130 x 30sec, unguided and at ISO 800. With Astronomik Clip CLS/CCD filter. Stacked in Astroart and final processing in Photoshop with some help from Brian. 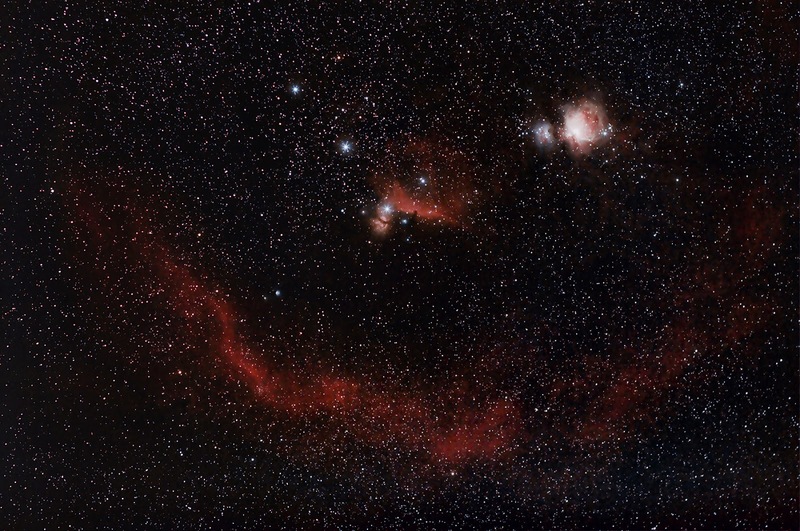 This is a wide view of the central region of Orion taken by Bill Hughes with a Canon 600D fitted with an 85mm f/1.4 lens set at f/2.0. The exposure was 24 x 30sec at ISO1600, stacked by adding them in 4s, then averaging the 6 groups of adds, all in Astroart, then finally processing the single file in Photoshop. North is to the left. 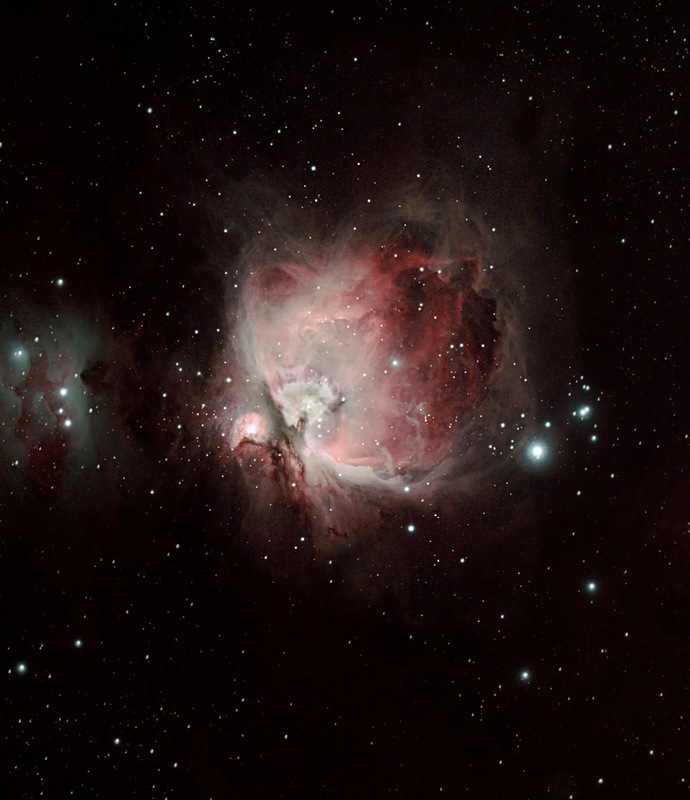 Taken by Rhys Owen, using a modified Canon 600D DSLR, mounted in a Takahashi 106FSQ, on a Skywatcher EQ6 mount from Hatfield. It was taken a couple of months ago with an H-Alpha clip-on filter in the optical train. This version was coloured in Photoshop. 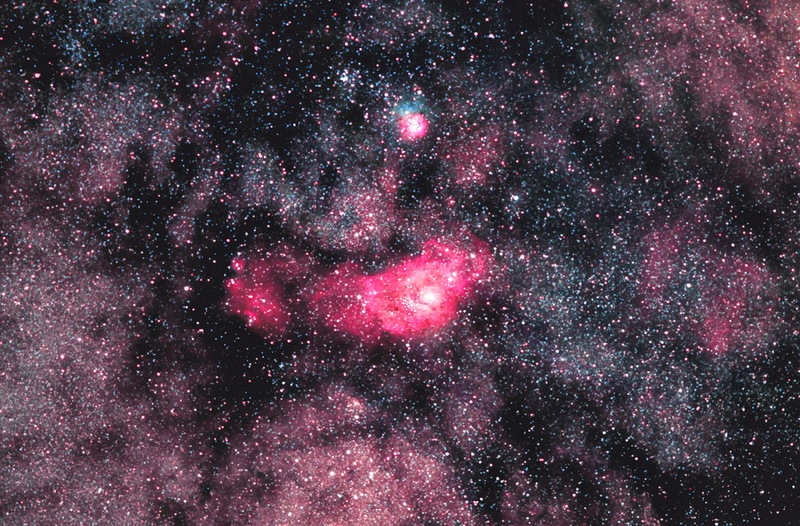 The nebula is almost all hydrogen so little other colours were involved. You must take this as one vast cloud of nebulosity divided by dust lanes, rather than separate clouds. 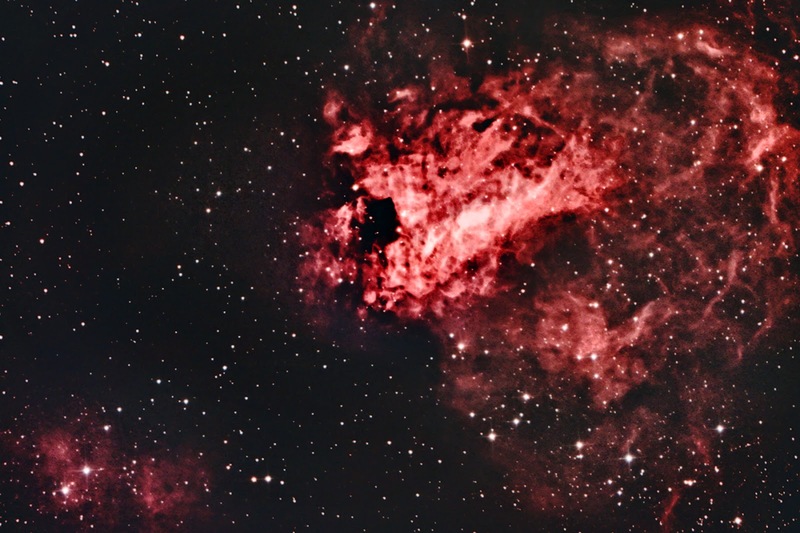 Taken some weeks ago by Rhys Owen, using his Canon 600D and Takahashi FSQ106ED, with an 13nm Hydrogen Alpha filter. The exposure was 10 x 600sec at ISO1600. Acquired in Astroart and processed in Photoshop CS6. By Bill Hughes, using a modified Canon 600D, with a 200mm f/2.8 Canon lens. The exposure was 6 x 69sec at ISO1600. Canon in-camera noise reduction was used before stacking in Astroart and finally processing in Photoshop Elements 10 with help from GradX and Topaz Denoise. The second version is the work of Max Freier who used a Nikon 90D. The exposure was 120 x 60sec, darks taken separately. 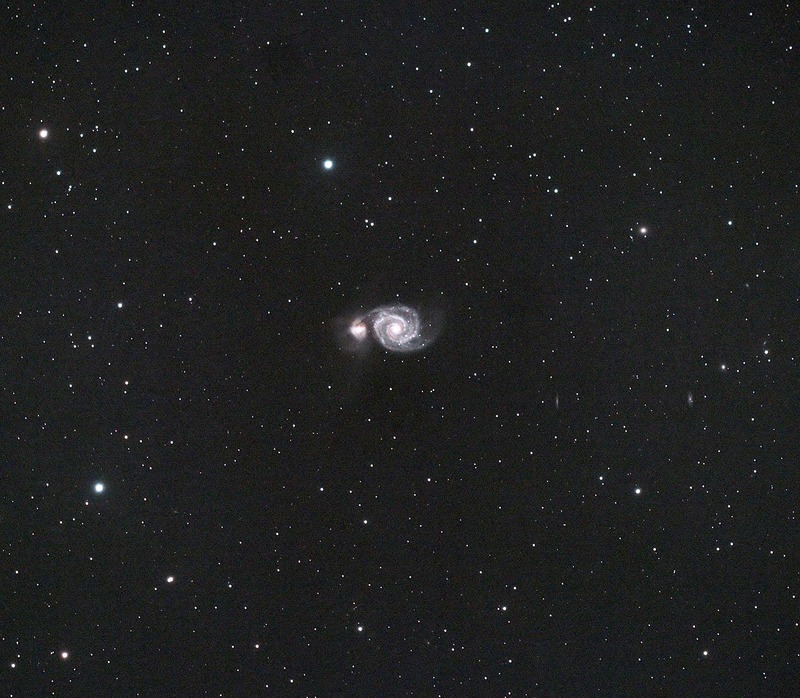 Acquired in BackyardNIKON, stacked in DSS and finally processed in PixinSight. 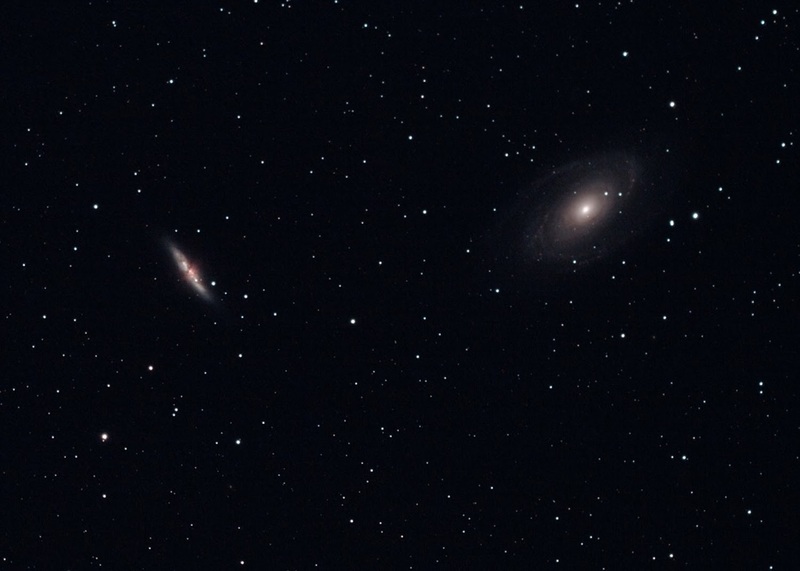 The third is by Rhys Owen, taken with a Canon 600D through a Takahashi FSQ106﻿ED, for 1 x 300sec exposure. Processed in Photoshop. Is that a meteor strike? Three different results of the same subject showing the variation obtainable through different methods and processing. It isn't a competition, just chance that they all worked on the same subject, at about the same time. All pretty good considering the minimal data they all had to work with. This was taken on the 16th of June 2010, yes, another re-process. I'm stuck at home unable to go to the observatory because of a recent cataract operation, gradually developing cabin fever. It was taken with the Vixen VMC260L and a .63 focal reducer. Peter and I saw it last month low in the south, quite bright in the Meade 14". Quite low, and just above the local well lit factory about 1/4 of a mile away in the south, followed by Bawtry 2 miles further south. But the sky was clearish to help compensate. 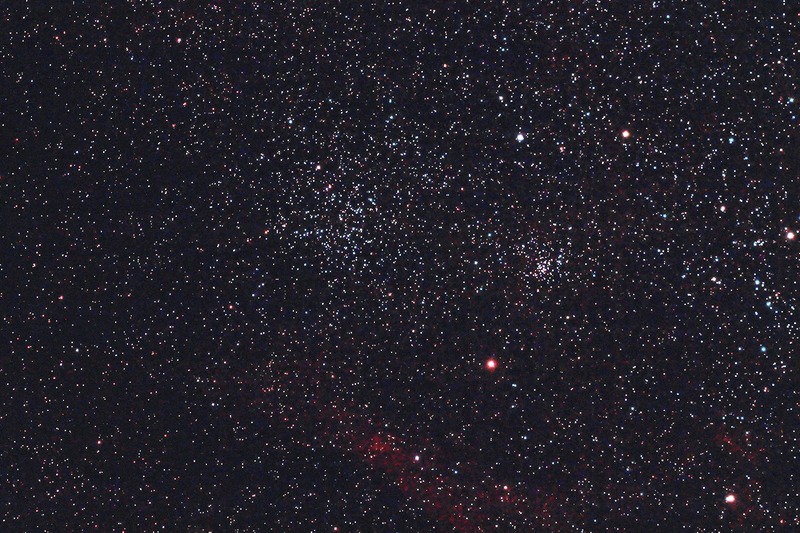 This is a re-processing of one I took in May 2009, of the Wild Duck cluster, M11, in Scutum, near the middle of the galaxy. 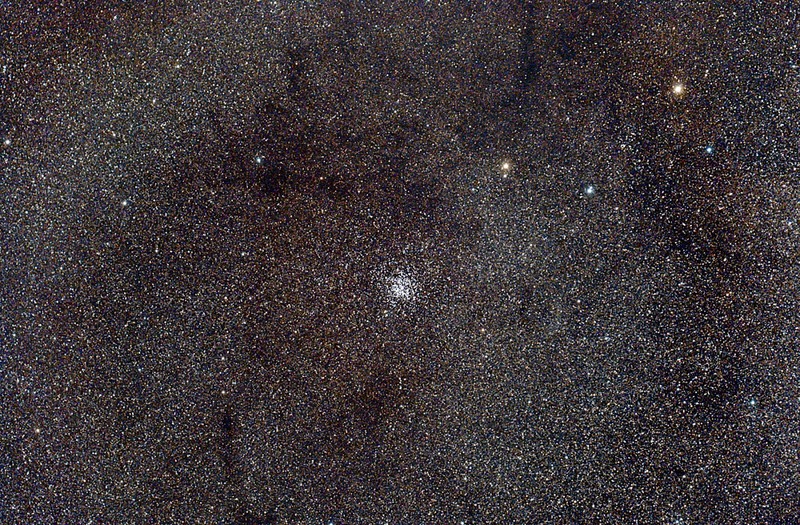 Lots of stars there, but the cluster is very full, carrying some 2000 stars, and stands out well against the competition. Some dust lanes there too. 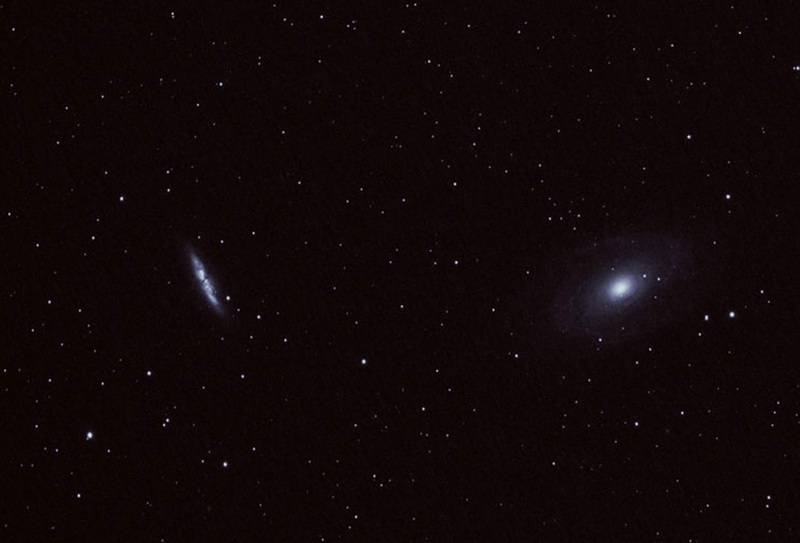 It was taken with an M25C on a Skywatcher 80ED with a .8 focal reducer, riding on, and guided by, a Meade 14". The exposure was 20x120sec. Stacked in Astroart and processed in Photoshop. 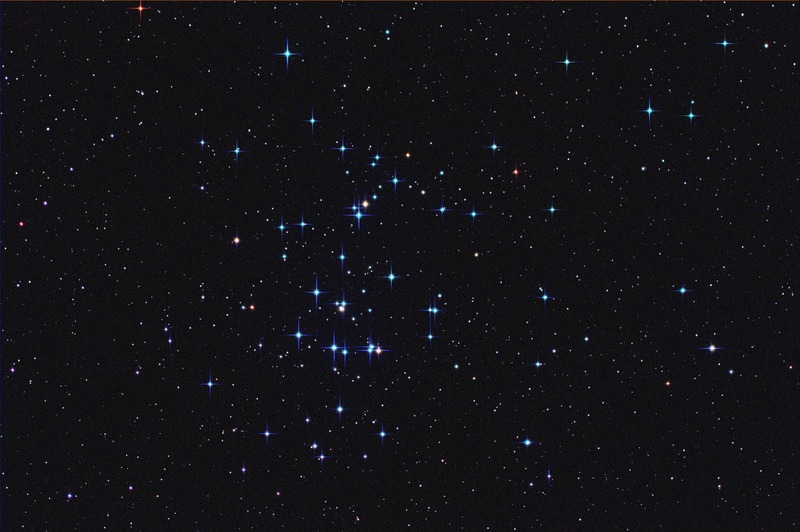 The last time I worked on M44 was in December 2008 with a William 98 and focal reducer/flattener. This time with the Tak 106 without a focal reducer. The night wasn't good enough for the nebulae planned so M44 was chosen, still didn't get enough time on it before interrupted by clouds. The camera was the M25C, never fails, and the guiding was done with the H9C in the Vixen 260L with focal reducer. A habit now but it helps to brighten stars to give me a wider choice to guide on. 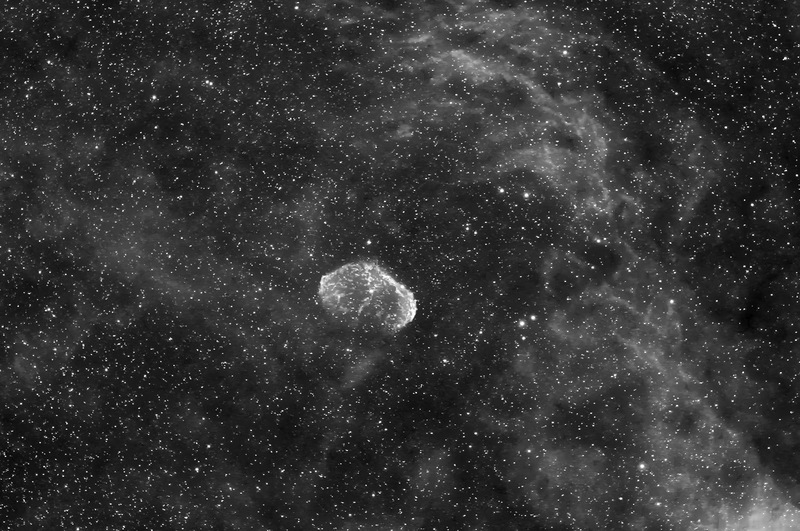 Calibration was done with master flat and master bias frames in Astroart, then finally processed in Photoshop. I've recently had a cataract removed from one of my eyes, and the change in colours is remarkable. I now realise that the old eye sees everything as through a yellow filter and the new eye is clear and without the filter. So blues are BLUE with the new eye but a greenish blue with the old. When the other eye's cataract has been removed I'll probably have to reprocess all my old photographs, and there are hundreds. 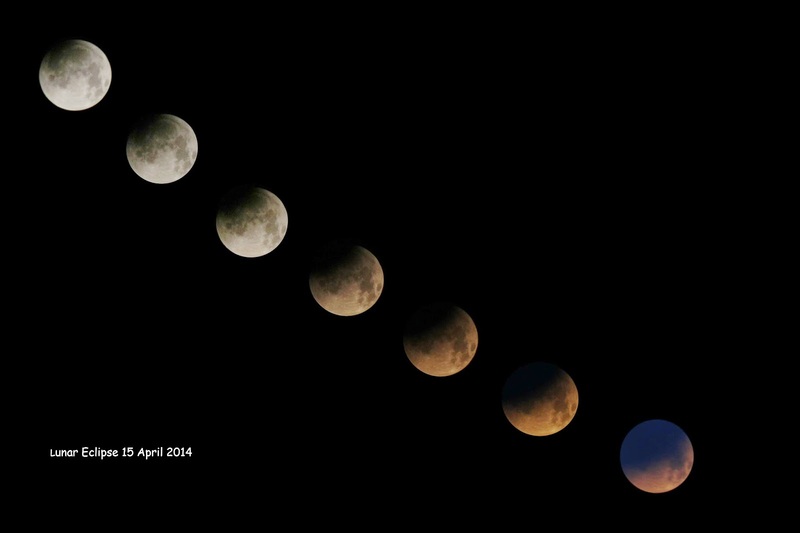 Taken by Rhys Owen with his modified Canon 600D and Takahashi FSQ106ED. The exposure was 5x600sec at ISO400 and 5x600sec at ISO800. 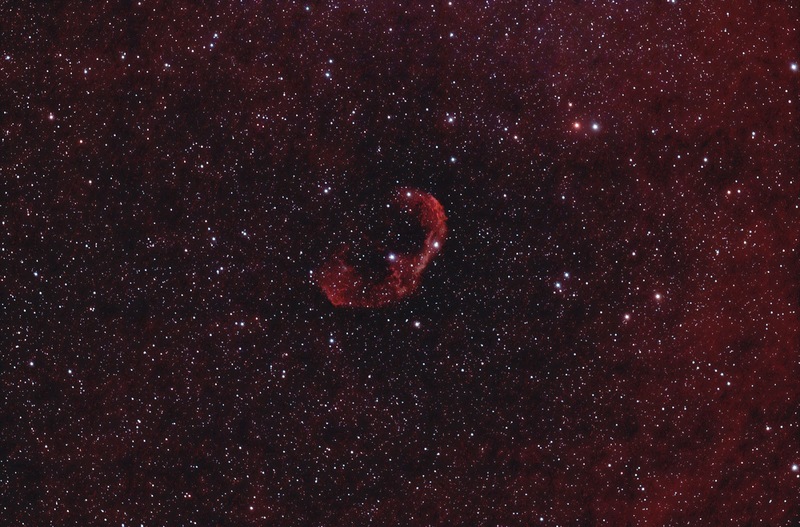 Calibration was done in Astroart, sigma averaging each set then adding the two results. Final processing was done in Photoshop. 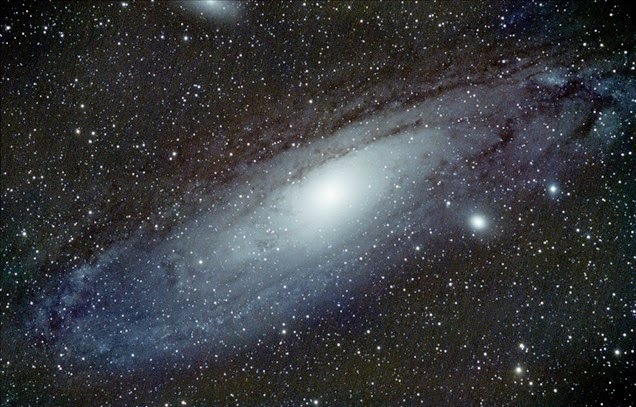 Do you see any more galaxies in this? 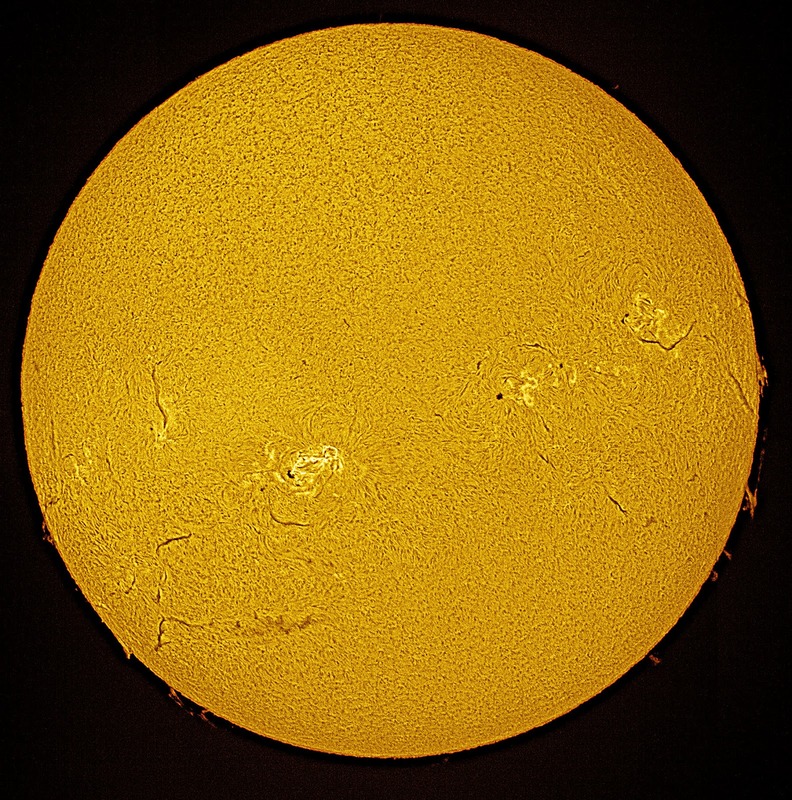 This is a four pane mosaic of the Sun taken as single frames between clouds, using a Canon 550D and the SS solar filter system. The Sun was very active that day and though the four frames were taken within the space of about 10 mins the changes to areas where the panes had to match made it very difficult to do the matching. The SS filter is an Hydrogen Alpha system so the results were monochrome and the colouring was added in Photoshop. I still haven't got the exposures right as the prominences were much more pronounced than this photograph suggests. 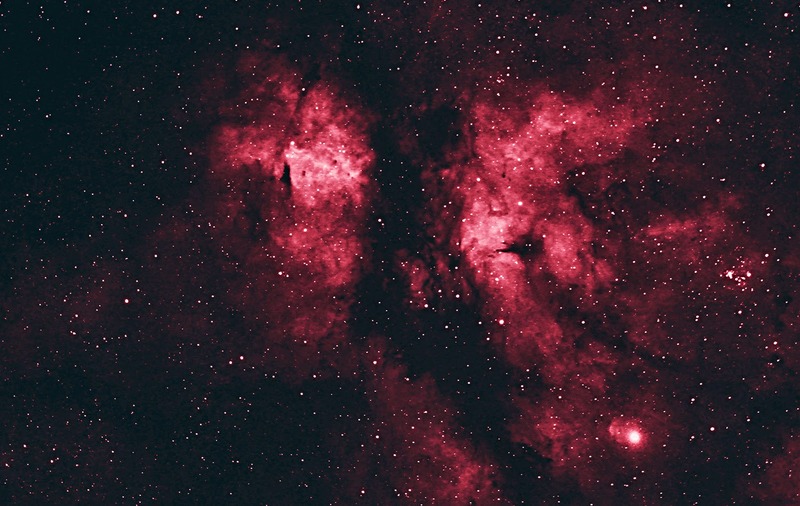 Taken by Rhys Owen on 23.1.14 from Hatfield, with a Canon 600D and a Takahashi 106FSQ, using Nebulosity to acquire the frames. Guiding was done with PHD. The exposure was a multiple of 14 x 120sec and 6 x 300sec at ISO400. Calibrated in Astroart with darks and flats then finished off in Photoshop. Look for the bright star near the middle of M82. It's in the photograph taken on the 23rd, but not in the one taken a year ago. Click on a photograph to gain an enlarged view. Taken by Rhys Owen on the 6th of January from Hatfield. 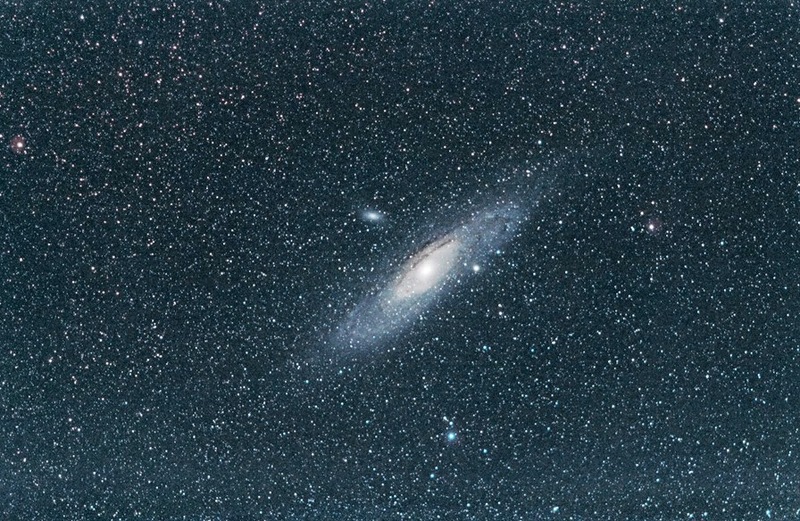 12x300sec at ISO800 and 12x60sec at ISO400 exposures with a modified Canon 600D in a Takahashi 106FSQ, recorded with Nebulosity and guided by PHD. Calibrated in Astroart with darks and flats, and finally processed in Photoshop. Always a difficult target because of it's wide dynamic range, but expertly executed here. The forecast was good, but the reality was streaky cloud all round the horizon, but I had to try, and the aim was a mosaic of AR 1944. 9 videos were taken when the cloud appeared to be thinner, but only 6 were added into the mosaic. 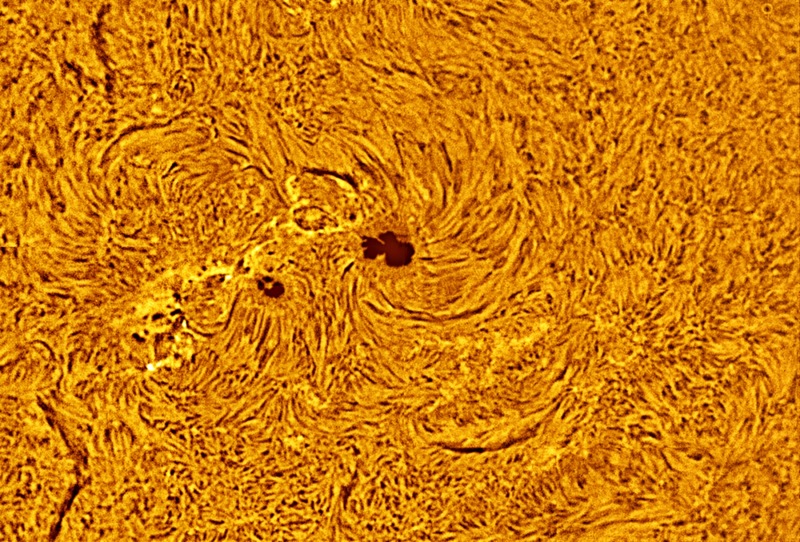 This was the AR that was supposed to give us aurorae but we'll have to wait for tonight, to see if that happens. It's forecast to be clear too. Taken with the DMK31 and the Skywatcher 80ED and Solar System's 0.3A filter set at 48.9°C. Processed in Avistack, and Photoshop. Avistack seems to be better than Registax6, or I'm getting better at using it.